Whether you like it or not(! ), I’m gonna post some more pics of this area, this time: Ghaem Shahr (or Qaem Shahr, whatever! ), Veresk, Pol Sefid and Savad Kooh (below picture). Actually it was a business trip to ghaemshahr. But I couldn’t miss the opportunity to take couple of pictures and drop few lines. 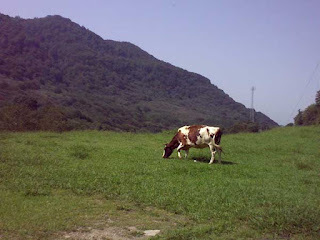 Ghaemshahr is one of the biggest cities in Province Mazandaran, 20 KM to Sari, the capital of Mazandaran. Ghaemshahr has a major University called Ghaem shahr Azad University, serving 12000 students (as I’ve heard, not accurate) the students are mostly from Tehran and other cities and it seems it has changed the cultural figure of the city so far. 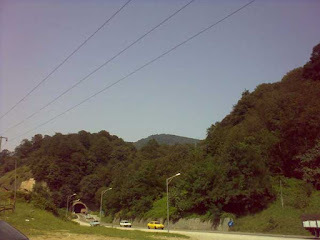 actually the city may differ a lot from other cities in the provice Mazandaran, regarding its immigrants population of Turks, Kurds etc. 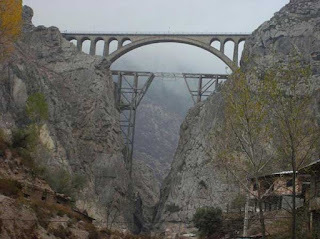 In the way to Ghaemshahr, you will see Veresk Bridge, which is old as World War II, built by a Duetch engineer for the train railway, when Reza Shah Pahlavi was ruling Iran. I’ve heard when the first train passed the bridge, the engineer forced to stand beneath the bridge to show he’s confident about the construction!